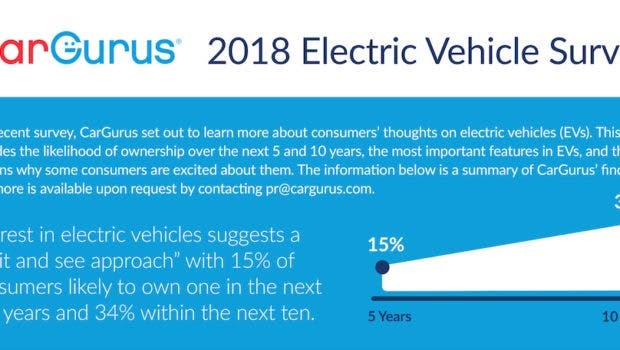 CarGurus recently published results of a survey of American adult consumers regarding their interest in electric vehicles. The main findings were that 15% said they were probably going to own an electric vehicle (EV) in the next 5 years, and 34% said it would probably be in 10 years. If you are an EV enthusiast, you might be almost ready to buy or already have an EV, but that’s not true for the bulk of adult consumers right now. Fortunately for those who are very interested, Tesla has aggressively pushed the EV agenda with some great vehicles and the vast majority of Tesla owners have responded very well to their new products. In fact, because of Tesla’s work, GM got into the game with the Chevy Bolt and Nissan has continued to improve the Leaf. There are also many more new EVs coming out very soon. Still, this growing segment is not on the buying radar for many adults. CarGurus Senior Manager of Customer Insights, Madison Gross, answered some questions for CleanTechnica about the survey. 1. How many people did you survey and what are some of their demographic details, like age range, income level, location, etc.? CarGurus surveyed 1,279 vehicle owners aged 18+, with an annual household income of $25,000 or higher. In terms of age, gender and region the survey was representative of the US population. 2. Your survey results showed that Tesla is the #1 trusted EV brand. Any ideas why that is the case? 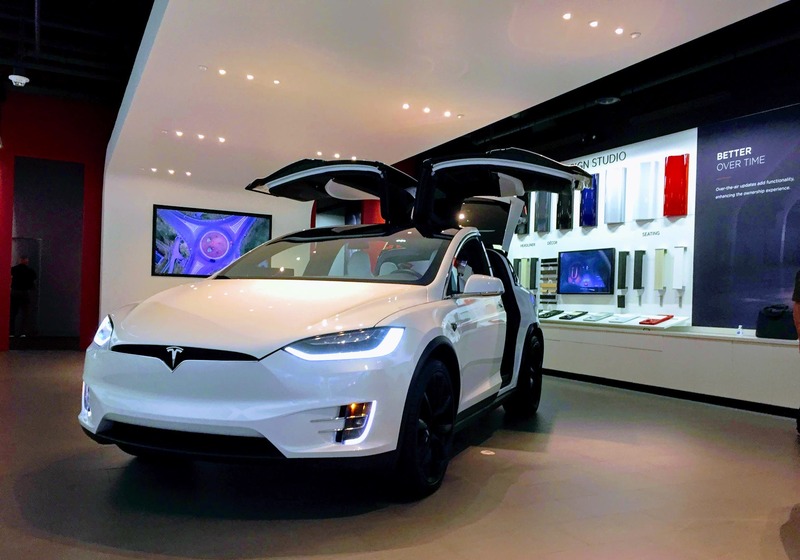 Tesla has strong brand awareness when it comes to EVs and unlike other manufacturers, they are known for focusing exclusively on them. Considering that our survey pool was reflective of the general population, it’s not surprising that Tesla was the number one brand based on their overall awareness. 3. Were you surprised that 31% of those surveyed indicated they were interested in an EV sedan, or slightly more than an SUV, which was 26%? When we dug deeper into this survey, we learned that younger drivers are most excited about EVs and in a separate survey, we also learned that younger drivers prefer sedans (link here). Early EVs were almost always sedans, and often times car shoppers are interested in what they know looks and feels good to drive. When those are coupled together it’s not surprising to see that it was the top body style for consideration among our respondents. 4. The 3 top features of an EV they mentioned were range, charging time, and speed/performance — and range was the most important by far. Do you think that is because the public might still believe EVs have very limited ranges, but are unaware that the new EVs do much better than the old ones in this category? While our survey did not go into the specifics of range details, we did learn that there is an overall education gap to decrease when it comes to EVs. For example, our survey did ask about fully electric vehicles and yet Toyota came in as the number two most driven EV brand. It would seem that respondents confused the Prius Hybrid as being a fully electric vehicle. 5. One of the most telling results was that 82% of the respondents have not driven a fully electric vehicle. What can be done to get more people into EVs so they can experience them? Even though we learned that sedans were still the top body style among those that would consider an electric vehicle, it’s likely that shoppers want more electric vehicle options and more variety. Auto manufactures are already making a great effort in increasing EV trial simply by providing more body style choices like the Rivian that launched at the LA Auto Show and the SUV/Crossover that Cadillac has started to launch at the Detroit Auto Show. 6. The top 3 reasons the respondents are excited about EVs is saving on fuel, environmental benefits, and time spent on fuel and maintenance. It seems as though some people are beginning to understand that EVs have benefits other than the environmental ones. Is that the case? Cost savings with EVs is an interesting topic. The survey actually uncovered a paradox where cost was both a barrier and a benefit to buying one: 64 percent of shoppers were excited about the prospect of saving money on fuel with an EV, yet 65 percent were concerned about how expensive they are. 7. 15% indicated they will own an EV in the next 5 years, and 34% in the next 10. Do you think that might change in the next 2 years or so as more and more EVs enter the market, especially the pickup trucks? While this is certainly possible, our survey did not ask about EV interest over the next two years. People tend to own their cars for about five years, so we wanted to try to understand a possible decision that would be more in line with their time-table than anything more immediate. 8. Do you think the ones who were concerned about there maybe not being enough public charging stations don’t understand that over 90% of their charging will be done at home, with a personal charger? We learned there is an education gap to decrease with EVs overall, as evidenced with Toyota being the number two most driven EV brand. It’s safe to say that more education and awareness is needed when it comes to EV charging.